Vincent Edward Johnson, a 56-year-old black male, died Tuesday, Jan. 8, after being shot in West Compton, according to Los Angeles County coroner's records. Liliana Perez, a 27-year-old Latino female, died Tuesday, Dec. 25, after being shot in West Compton, according to Los Angeles County Medical Examiner-Coroner's records. Roger Lee Scott, a 53-year-old black male, died Wednesday, May 9, after being shot in West Compton, according to Los Angeles County coroner's records. Antonia Rubio, a 51-year-old Latino female, died Thursday, Feb. 15, after sustaining blunt force trauma in West Compton, according to Los Angeles County coroner's records. 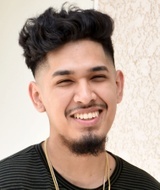 Joshua Guevara, a 20-year-old Latino male, died Sunday, Feb. 4, after being shot in West Compton, according to Los Angeles County coroner's records. 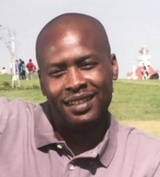 Dante Daniel Koger, a 36-year-old black man, was shot and killed Sunday, July 30, in the 15000 block of South Avalon Boulevard in West Compton, according to Los Angeles County coroner’s records. The night of the shooting, Koger was hanging out with a group of people in the parking lot of a liquor store at South Avalon Boulevard and East Compton Boulevard around 8:55 p.m., Los Angeles County Sheriff’s Lt. Derrick Alfred said. A white SUV drove past the parking lot, and someone inside began shooting, Alfred said. Koger was shot in the head, Alfred said. He was taken to a hospital and pronounced dead at 11 p.m., according to coroner’s records. Nobody else was injured, Alfred said. Juana Lopez-Saldana, a 35-year-old Latina, died on Friday, April 7, after she was shot at the intersection of East Alondra Boulevard and South San Pedro Street in West Compton, according to Los Angeles County coroner’s records. Witnesses told investigators that Lopez-Saldana was driving a car with a man beside her about 5 p.m. when she pulled over, jumped out and ran to the back, according to Los Angeles County Sheriff’s Sgt. Troy Ewing. The man, later identified as Jorge Reyes, 35, the father of their six children, got out holding a gun, Ewing said. Reyes chased after Lopez-Saldana, shooting at her from a distance, Ewing said. When she fell, witnesses told police, he walked up to where she was lying and shot her again, Ewing said. Lauren Emily Tapia, a 15-year-old Latino female, died Friday, Sept. 30, after being shot in West Compton, according to Los Angeles County coroner's records. Dewayne Bernard Christian, a 43-year-old black man, died Friday, Feb. 19, after he was shot in the 14500 block of South Cairn Avenue in West Compton, according to Los Angeles County coroner’s records. 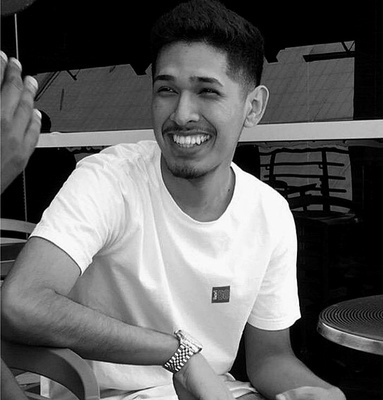 Christian was driving home about 11 p.m. on Thursday, Feb. 18, heading north on a narrow residential street, when he was shot multiple times, said Los Angeles County Sheriff’s Lt. Joe Mendoza. The gunshots hit Christian in the upper torso. His dark-colored, four-door sedan continued north on Cairns “for a very short distance,” Mendoza said, before striking a parked vehicle about a block from his home. Christian was taken to a nearby hospital where he was pronounced dead at 12:50 a.m. on Feb. 19, according to coroner’s records. Jose Edwardo Avila, a 14-year-old Latino boy, was shot and killed Saturday, Nov. 14, in the 14000 block of South Keene Avenue on the border of West Compton, according to Los Angeles County coroner's records. Avila was sitting with his father on the front porch of their home about 9:35 p.m. when two black males walked up to the house, said Los Angeles County Sheriff's Lt. Steve Jauch. At least one of the men opened fire, Jauch said, and Avila was shot in the upper torso. Avila was taken to a nearby hospital, where he was pronounced dead at 10:06 p.m., according to coroner's records.